You see a campfire with some sitting-logs around it, on one of them, a hooded figure. The hooded figure says with a rasping voice "Stay awhile and listen to a tale from the sWord-Void." 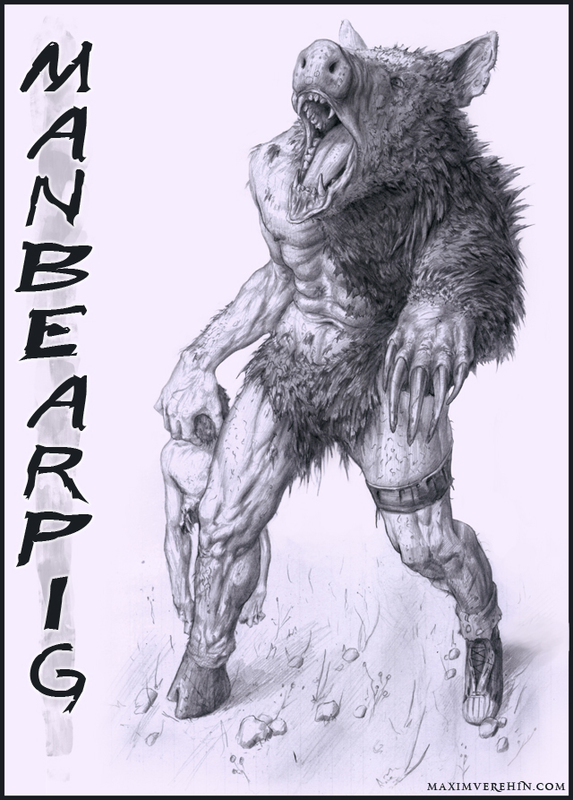 "If you do not know of the place, better leave now before ManBearPig finds you. Here is a picture so you know I'm super cereal." I take it you have heard of The Soul Devourer, other names are The Fallen One, The Polish Beast or The Groke, but its real name is varmas. So evil it doesn't even need upper-case. varmas was an adventurer like yourself, but something happened during a fight to gain dominance of a dungeon, against a dragon. Something changed in varmas, unnoticeable at first, but during the following expeditions varmas showed signs of evil and started hurting other adventurers, even started to take their soul(hence The Soul Devourer). Sometimes the old friendly varmas comes through and adventurers around are healed of inflictions, sometimes even death, but those events become sparser and sparser. So when you go back out there, remember, when you get a chill down your spine beware, it could be The Soul Devourer to take your soul. Just an adventurer passing by. It is mostly based on previous dungeons, but I'll see what I can do for the next one. Woah! Yeah, that definitely deserves its own legend! Cool; thanks for the game!